Available in Hardcover, Linen with Jacket. 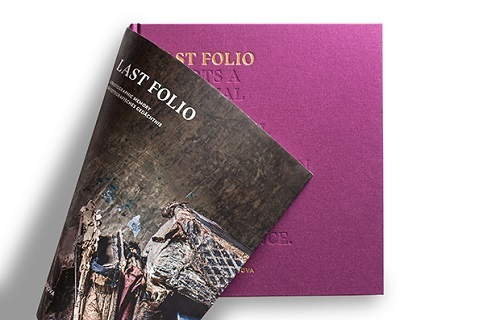 Firstly I am indebted to Prestel Publishing for sending a copy of Last Folio for review. The first thing that struck me was the size of this book. It is a large coffee table sized book. The sheer quality of the book is something that really impressed me. The quality of the paper used to display the photographs is of art quality and the binding is impressive. To commemorate the end of the Second World War Yuri Dojc together with Katya Krausova released Last Folio. This is a journey back to Slovakia the first Country that adopted Germany’s anti-Jewish policies. This is a personal journey through the eyes of both the authors as they were former political exiles. They both first returned in 2006 and returned to the village that was abandoned in 1942 when the villagers including children were deported to concentration camps including Yuri Dojc’s grandfather. What they left behind homes, buildings and Synagogue’s. But by far the most haunting of all was the books left behind in the Schools and homes and splintered gravestones. A long ago was now uncovered and recorded through the lens of Yuri Dojc and Oscar award winning Katya Krausova. One of the most moving aspects of moving from building to building photographing what they found was a book. This turned out to be no ordinary book, but one that was owned by Yuri’s grandfather. This is indeed a very touching and personal moment. No-one can begin to understand what took place in this village in 1942 when the inhabitants where rounded up and deported with only a few surviving the death camps, but what we are presented with here in Last Folio is a deeply moving and personal photographic journey to the past with photographs taken in the most exquisite detail with outstanding composition. Being a keen photographer this kept me up many a late night studying each photograph. There are many photographs in Last Folio that are of decaying books, that were left behind and time has forgotten them until now. These tell a story of village and its people more about how they lived their lives before deportation. The linen cover to Last Folio is saturated purple this was inspired by some of the school books photographed in the book. To accompany Last Folio there is an exhibition that has been to-date in Europe and the United States including the United Nations building in New York. This is a book that is haunting and at the same time powerful in a historical sense every photograph tells its own story. Yuri Dojc’s photographs are held in the Library of Congress in Washington,vD.C. and in the National Gallery of Canada. He has published a number of books,vincluding the award-winning collection of Holocaust survivors, We Endured. Katya Krausova is a television producer and writer based in London. She is the co-founder of Portobello Pictures, an independent production company. 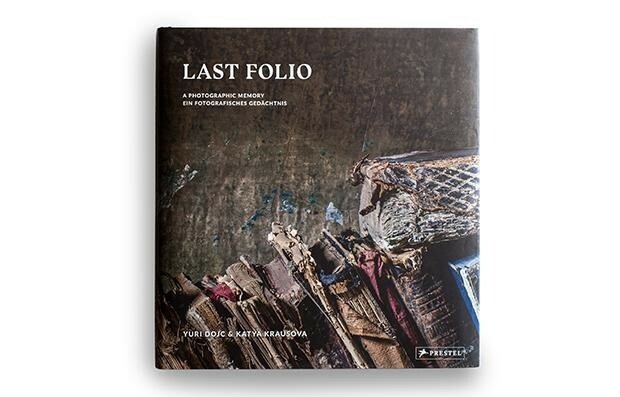 Posted on July 13, 2015, in Katya Krausova, Last Folio, Prestel Publishing, Yuri Dojc. Bookmark the permalink. Leave a comment.